Recently, the 2016 National Trade Estimate Report on Foreign Trade Barriers, produced by Ambassador Michael Froman in the Office of the U.S. Trade Representative, stated, controversially, that China’s Great Firewall presents a trade barrier to American suppliers. The Cyberspace Administration of China has rebutted this claim by asserting that the firewall was in place for security purposes and is not a violation of World Trade Organization stipulations. A lack of information about the impact of China’s firewall on American overseas e-commerce has rendered claims on either side relatively unsupported. The USTR report states, “over the past decade, China’s filtering of cross-border Internet traffic has posed a significant burden to foreign suppliers, hurting both Internet sites themselves, and users who often depend on them for their businesses. Outright blocking of websites appears to have worsened over the past year, with 8 of the top 25 most trafficked global sites now blocked in China.” According to the U.S. Census, total unadjusted e-commerce sales in the U.S. stood at $341.73 billion in 2015, while in China, Internet sales for 2015 weighed in at $589.61 billion, representing a higher percentage of retail sales than in the U.S.
At present, international online sales account for only a small percentage of total online sales. This is because international shipping costs for goods purchased by Chinese consumers on American websites remain high compared to average purchase prices for online retail goods, restricting U.S.-China online retail sales to relatively low levels. Most non-bulk, lighter manufactured products covering such a distance move via air transportation. 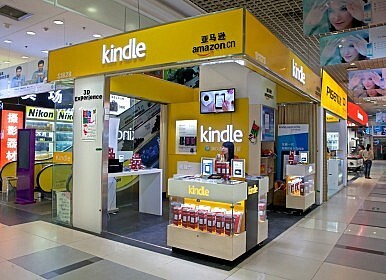 Still, online stores with branches in China, such as Amazon, are able to get around the firewall and to ship retail products domestically by maintaining a local presence. For truly international sales from the U.S. to China, shipping costs may decline in the future, and American firms do not want to reduce sales and marketing opportunities even before they open up. To truly understand the impact of China’s firewall on international online commerce, more energy must be devoted to scrutinizing the costs and benefits surrounding this industry. The financial and economic impact of firewall restrictions on online commerce is a research topic that is vastly understudied, so there is no information about how much business American firms lose annually due to Chinese firewall blocking. In addition, while the World Trade Organization does study e-commerce, the implications of China’s firewall on international online business has not been examined. E-commerce issues analyzed by the WTO include discussion of IT goods, internet infrastructure services, electronically traded services, and digital products, and not online international sales per se. To some extent, then, the impact of the Great Firewall on international e-commerce and trade is a gray area, and assertions supporting or rejecting the idea that the firewall is a trade barrier must be bolstered with concrete economic and regulatory study. As use of online sales spreads, as is occurring rapidly in China, international retail sales are likely to expand on the assumption that shipping constraints will ease. Until that time, this controversial area should be made a point of study, both by the Office of the US Trade Representative, and by the World Trade Organization. It is crucial that ASEAN members have the time and flexibility to develop appropriate national and regional regulatory frameworks. The CPTPP Trade Agreement Will Enter Into Force on December 30TPP Signatories to Meet in Chile to Explore the Future of the AgreementDid Abe Convince Trump Japan Wasn't a Currency Manipulator?Far From a Slam Dunk: Eyeing the Risks of the TPP for VietnamHow Will Brexit Impact Pakistan?